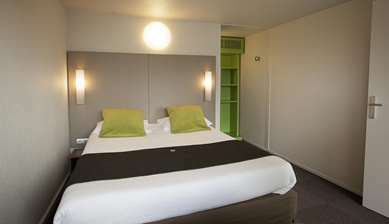 Our Hotel Première Classe Melun Sénart - Vert-Saint-Denis, 1 star, has 70 comfortable rooms. All have a shower cubicle and toilet, they can accommodate up to 3 guests at a reasonable price. 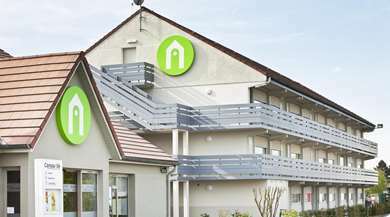 The hotel is located in the Jean Monnet artisanal area, 5 minutes from downtown Melun. Easily accessible from highways N6 and A5 and just 30 minutes from Paris, our hotel is strategically located for you to explore the many attractions of the Paris region, from Disneyland® Paris to Versailles, to the castle of Fontainebleau. 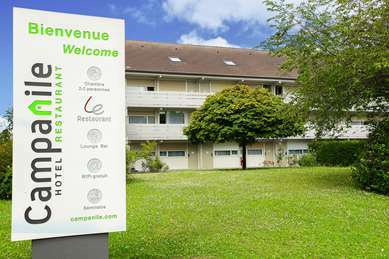 It is located near the shopping centers Bois-Sénart, Carré-Sénart and Villers-en-Bière but also close to the châteaux of Vaux-le-Vicomte, Fontainebleau and Blandy-les-Tours. For your entertainment, a bowling alley, a cinema, an ice rink and a go-kart track are close to the hotel. In June, you can also check out the renowned Montereau Festival. Open 24 hours a day, our hotel has a free enclosed parking lot. For your entertainment, you'll have not only Canal+ and CanalSat channels, but also unlimited free Wi-Fi. Our 70 rooms even have a desk for those who need to work. Whether you are here for business or pleasure, you will find all the amenities in our double rooms (one large bed or two twin). With an area of 113 sq. ft. they all have a shower, a sink and a toilet. Each room is also equipped with a flat-screen TV and free Wi-Fi. Energize with the breakfast buffet, for just €5, at Hotel Première Classe Melun-Sénart Vert Saint-Denis. Children ages 10 and under receive a 50% discount (offer valid for paying hotel guests, up to 2 children per adult).